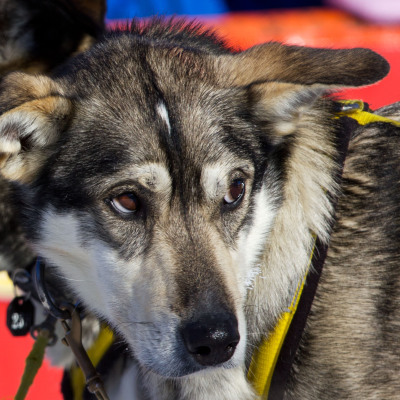 At least five mushers have crossed into Canada, according to the GPS tracker. 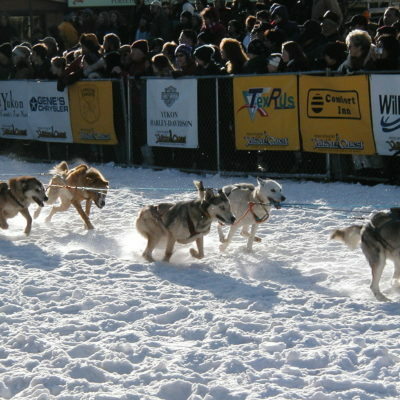 2013 Quest champion Allen Moore continues the lead he’s held since the second day of the thousand-mile international sled dog race. Two mushers have now reached the Eagle checkpoint in this year’s Yukon Quest, with several more not far behind. 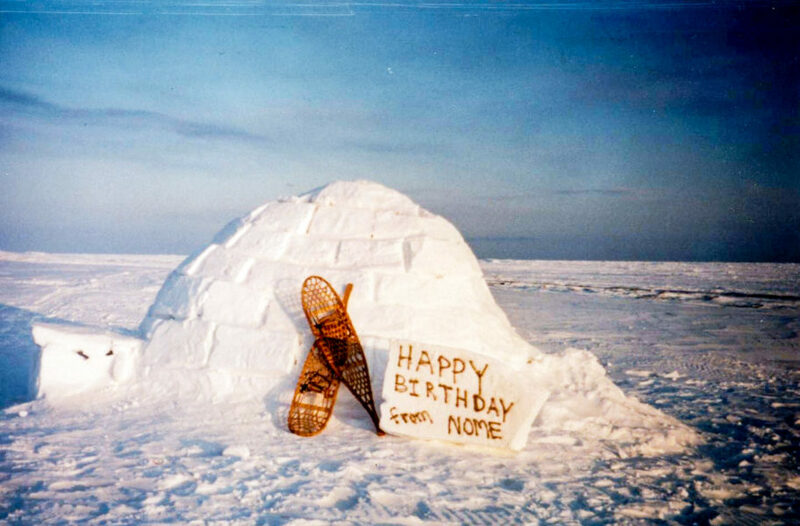 Mushers still have to climb the 3420-feet American Summit before crossing into Canada. Rookie Christine Roalofs chose to leave the race this morning, citing a personal injury. Allen Moore is the first musher to reach Eagle checkpoint. Ike Underwood of Aniak was the fourth musher in a span of 24 hours to drop out of the race yesterday. According to the Quest, Underwood activated his race-tracking device and requested assistance almost 25 miles outside of the Circle checkpoint. Underwood and his dogs were found to be in good health, but the Quest rookie decided to withdraw for his safety and that of his team. 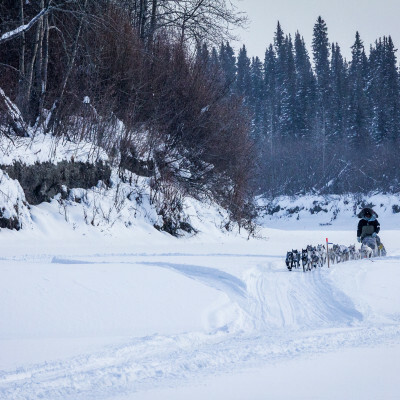 Six mushers have left Circle and are heading down the 160-mile stretch to Eagle, Alaska. 2013 Quest champion Allen Moore retains his lead in first position. Katherine Keith and Mike Ellis made the decision to scratch from the race for different reasons. Keith stopped due to a broken wrist, and Ellis announced around 2pm yesterday for the health and well-being of his team. Looking at the remaining field of 24 mushers, leading the pack is 2013 Quest champion Allen Moore, who was the first one out of the Circle checkpoint. 26 teams, including two mushers from Western Alaska, are set to compete on a 1,000-mile course from Fairbanks to Whitehorse, Yukon Territory.